If you are reading this article then you have surely searched the bylanes of the internet for CAT related stuff and landed yourself here! Maybe you have written CAT in 2017 and want to give it a serious try this time or maybe you’re someone who has started fresh. Whatever might be the case; this is the perfect place for you to begin! 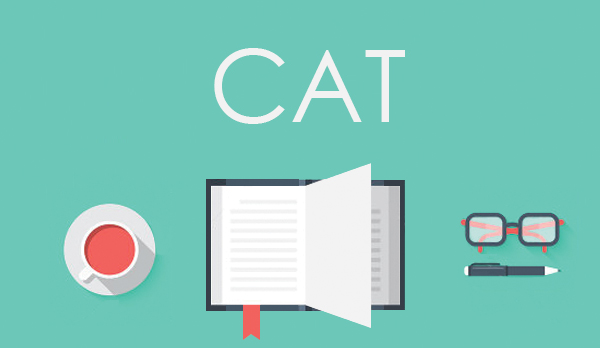 We at Team Satyam are helping aspirants like you in formulating a standardised preparation plan for CAT’18. The first thing you need to do is to take a diagnostic test which would help you in deciding the level of pre-preparation you’re currently standing on. It will help you in saving a lot of time and as well as in gaining a clarity of purpose as to where to start from! After analysing your test scores you need to decide whether you need a mentor or you’d be able to pull this off on your own. Remember that if you choose self-study you need to have a temperament full of discipline and dedication otherwise you’ll just end up browsing a lot of social media, which of course is not the area of syllabus asked in CAT! A- Do you need a continuous push for studies or are you a self-driven person? B- Do you need a mentor to plan out your assignments and tests or you can test yourself on your own and set short term goals for yourself? C- Most importantly, are you damn serious for CAT? : ) Do not make CAT a side kick or a Backup plan! After you’ve got it all sorted in your head, it’s time for you to get into the action arena. Do yourself a favour. Grab a pen and paper and chalk out a study plan for yourself. Choose your most productive hours of the day. Start with a basic plan where you could also squeeze in an hour of Netflix with Quant, Data Interpretation, Logical Reasoning and English! Your study plan needs to work for you so don’t plan unnecessarily stretched hours of studies just to please your mom for an extra monthly allowance! Remember CAT needs you to be smart and dedicated; sometimes slogging all day might not work yet that one hour of brainstorming with a few good minds can do wonders. All you would need on your journey will be persistence, patience, smartness and passion!